I have been WAY behind on blogging of late, but life has gotten in the way. 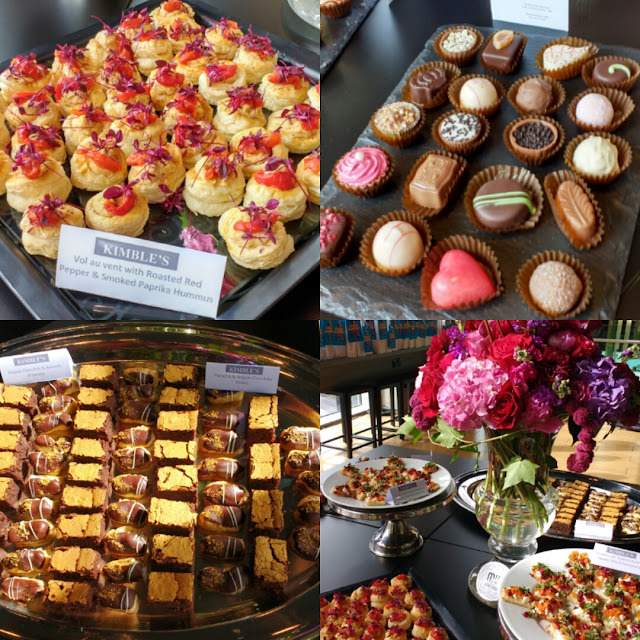 So I was excited to ease myself back in with a couple of fab events in the last couple of weeks and it felt goooood. First up was a wonderful evening of perusing the latest summer collections from various shops in the St Enoch Centre in their pretty lovely atrium area. For the last 5 years I would walk through the centre twice a day as it was on my route to work and I loved that in the evening I could easily pick up bits and bobs I needed as part of my commute as it is open to 7pm. Moving further away at the end of last year however means I am in town far less often and I hadn’t even been up to the newly refurbished eating area and it is a pretty nifty space!! 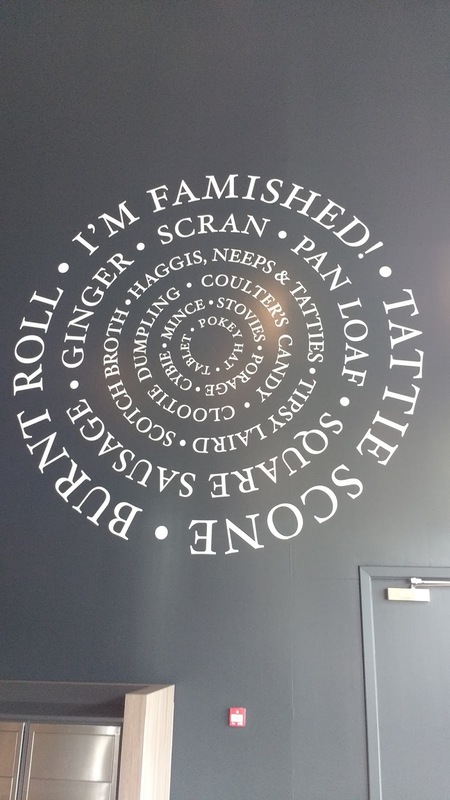 With floor to ceiling windows and some really cool Scottish based art installations on the walls and ceiling, it is actually a handy central space to stop over for some quick and tasty food in a super packed town. 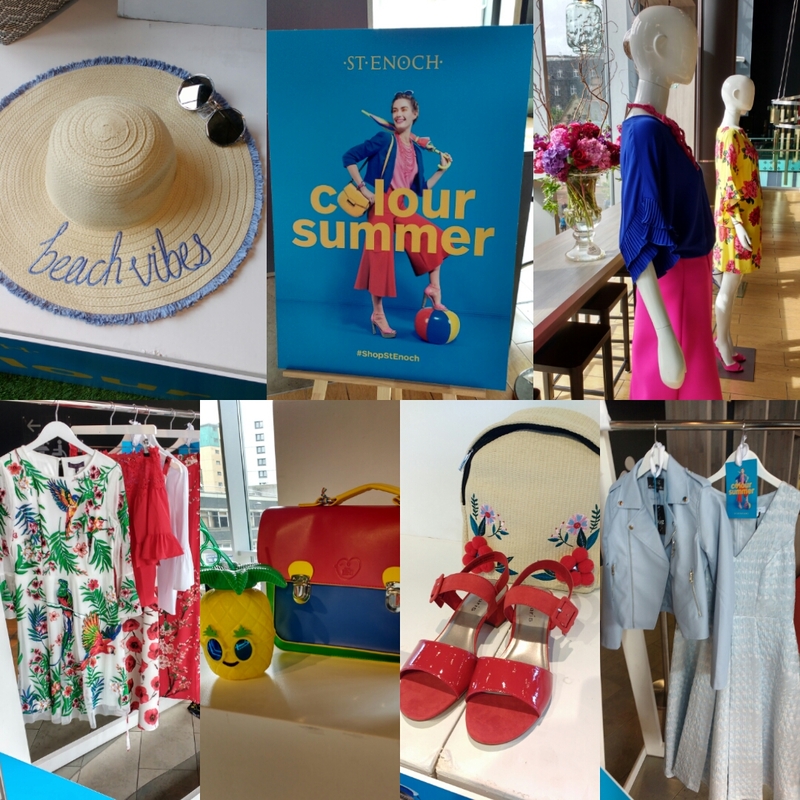 It provided an excellent area for a heap of shops to showcase their beautiful summer offerings for bloggers to take a peek at. With the super delicious Kimbles providing the snacks ( seriously the brownies were next level) and Mud Urban flowers with their beautiful bright blooms as a back drop, I had the loveliest evening. It was really amazing to be introduced to perfect summer items from shops I am less likely to be in like Pavers Shoes or Claires Accessories. There were really beautiful accessories, clothes and shoes to take in from kids wear to pastels to neon brights. I was really taken with an incredible embroidered dress from Matthew Williamson at Debenhams that had so many people swooning over it. 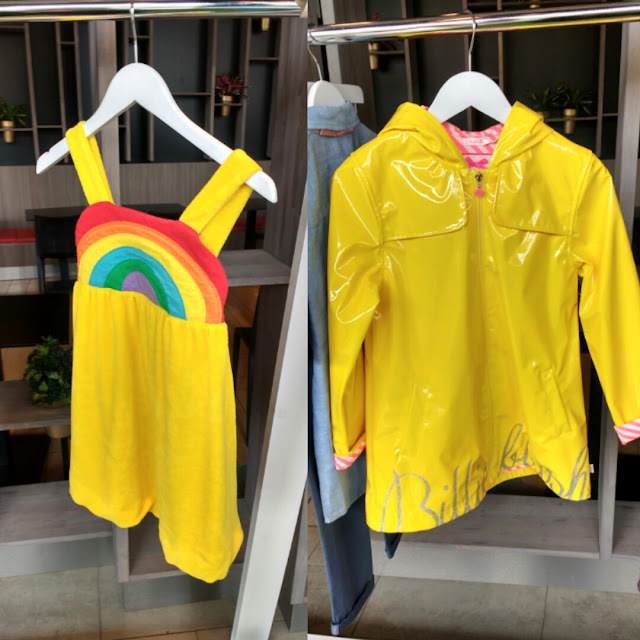 There was also a wonderful toddler rainbow dress and yellow mac from Billies Market that pretty much everyone wished they could fit into! I loved that the St enoch team left no stone un-turned and made sure their was make up, hair and skincare all represented too. It was the ideal event with everything under one roof!! 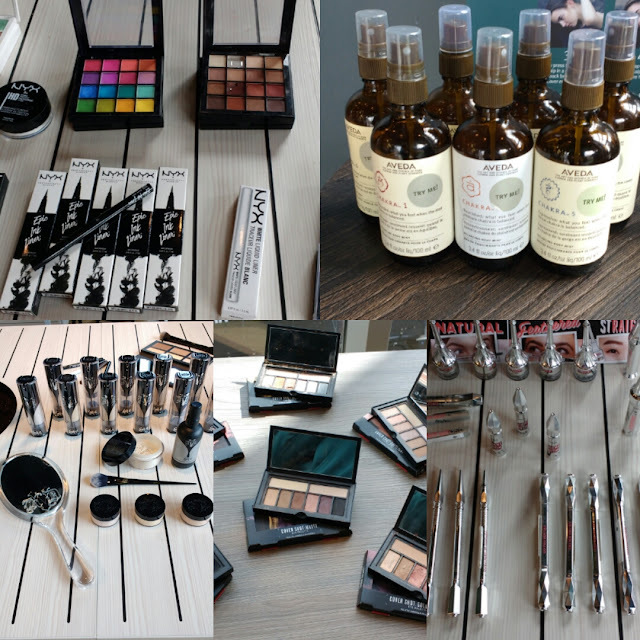 I finally got to get my hands on the Kat Von D foundation I have heard so much about, and it was ace to get a chat with the Murad team, turns out they have some amazing new products out that I had totally missed. 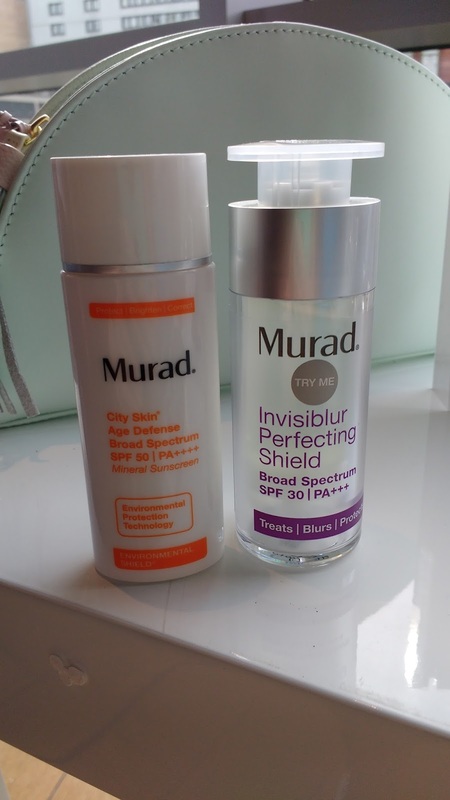 I tried out the textures of the Invisible Perfecting Shield and I was really impressed, I could tell how well it would sit under make up which is impressive when it is SPF 30. And for a total SPF-aholic like me the new City Skin with SPF 50 is a total must buy for me, I am going to head in to Debenhams to take a closer look next week. I have had a lot of success with various of their products in the past so I have high hopes for these ones. I am not sure what else I could possibly want from an evening and It was the perfect reminder of just how many amazing shops are sitting within the ST Enoch centre. I have identified some new must visits ( not just Kimbles for more chocolates) and have a whole new list of summer wants to pick up.